• Designed to help connect people in need with food assistance, Findafoodpantry.org is one of the nation’s largest online directories of food pantries. Since its inception, Findafoodpantry.org has served over 50,000 unique visitors, and now contains information on approximately 1/3 of the food pantries in the USA. 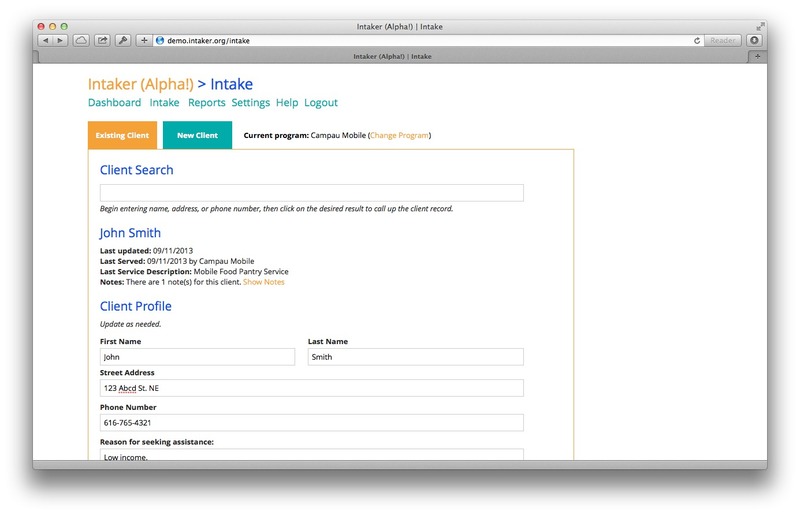 • An intake and client management system for food pantries and other small to medium-sized hunger relief programs. It works on any device – phone, tablet, Mac, PC – and is designed from the ground up to be as easy to use as possible. 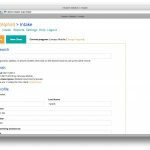 All you’ll need to start using Intaker is an internet connection, an e-mail address, and about 15 minutes! Currently in development.